As the only city in Cornwall, Truro is the centre for administration and commerce of the county. It’s the most southerly city on mainland Britain but only the fourth largest urban area in Cornwall with a population of around 23,000 including the surrounding area. Its name derives from the Cornish ‘Tri Veru’ which most people regard as meaning ‘Three Rivers’, only two of which can be seen today – the Kenwyn and the Allen. Where they meet, the Truro River is formed. The city’s most outstanding feature is its Cathedral which wasn’t built until The late nineteenth/early twentieth century, but still well worth a visit. The Royal Cornwall Museum is also another worthwhile place to visit with its excellent collection of Cornish rocks and minerals. Cornwall is undoubtedly a beautiful county in many ways, but its towns have suffered economically since the downturn in mining. 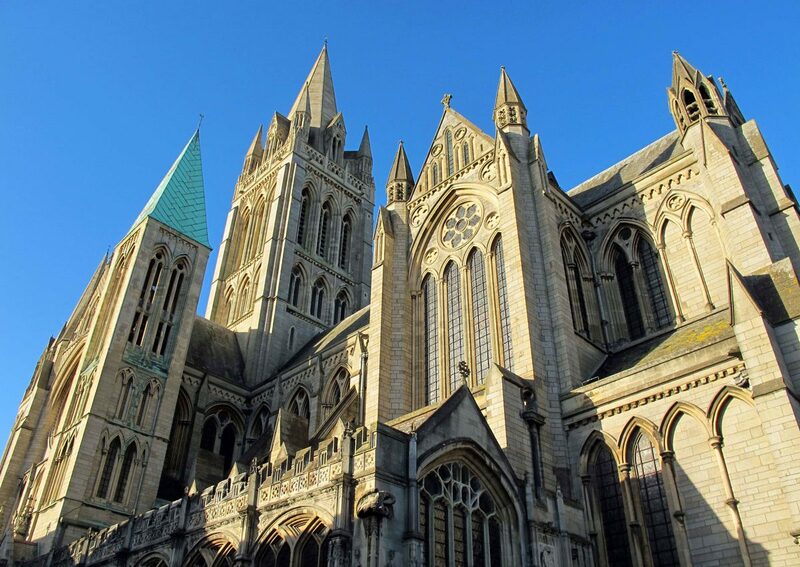 Truro is an exception, and if there is one town/city that I recommend you visit away from the coast then I would have to say it should be Truro.